A wonderful aspect of wine is its seemingly endless variety. Wine is produced in all the major regions of the world, many of which produce wines with distinctive characteristics that over time can be consistently aligned with that areas. In general, when we talk about ˜wine', we're really talking about wine made from grapes, but there are lots of wines made from other fruits as well. I've been consulting the past year on a potential project that would produce pomegranate wine. My wife and I are having an early celebration of our 10th anniversary, which is next month. We're spending a week in Jamaica, and as can be expected are enjoying all of the wonderful bounties of the island ¦ rum, snapper, conch, jerk chicken and herbs, rum. 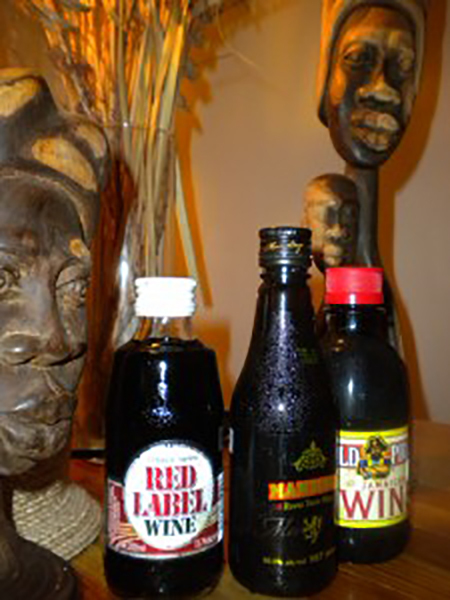 Interestingly, when we visited a little shop in Negril to pick up a few things, I noticed about 4-5 different Jamaican wines available on the shelf. All of them were very inexpensive, a couple of bucks a bottle, and the fruit they were made from was not identified. Sugar Dandy, our sometimes ride, said that he had homemade a batch of wine from sea grapes that worked out alright for him. I don't know if these wines were made from sea grapes or not, but they definitely had some added flavors mixed in. Admittedly, I didn't go to too much trouble to seek out any particular wines or even do much homework on them ¦ I'm on vacation and the Red Stripe and Rum Punch has been sufficing my needs for libation. It was fun to grab a few small bottles of what seemed to be the most popular brands in the store to get a sense of the local taste. I'm a winemaker, not a critic, so out of respect for my fellow craftsmen, I will stick to describing the wines and withhold judgment when writing on our family blog. All of the wines were sweet and had very basic fruit flavors like cherry, strawberry and cola. 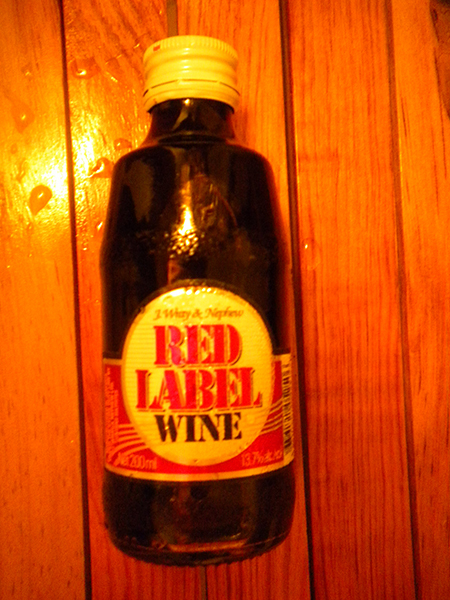 The ‘Red Label’ wine was the sweetest and fruitiest, very viscous and almost syrupy in texture. 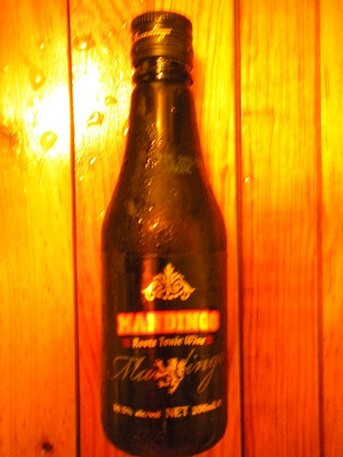 The ‘Mandingo’ was listed as roots tonic wine, and it had a gingery kind of floral aroma and a sweet-tart bite. 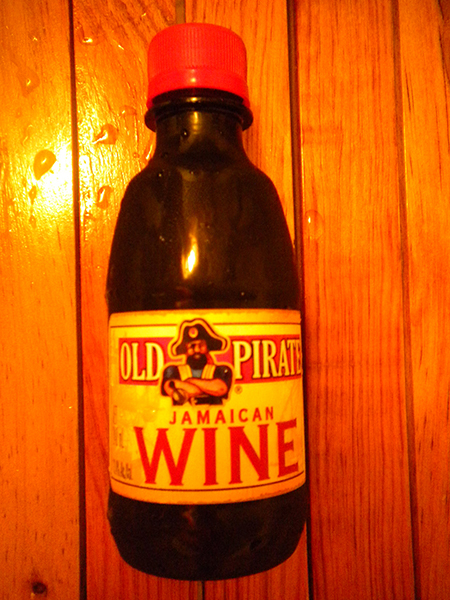 The “Old Pirate” was candied fruit on the nose and real easy-going on the palate, not supersweet nor acidic. The sweetness in these wines is almost port-like, it seems as though the local taste is for very sweet wines, with strong berry flavors. No right or wrong tastes, just fun for us to get a taste of the local flavors! I'm in Southern California for a few days to pour our wines at the two Family Winemakers of California (FWC) tastings in Del Mar and Pasadena. In addition to showing our support for FWC, which is a valuable industry resource that works on behalf of family-owned wineries across California, these tastings give the members a forum for presenting our wines to existing and potential new accounts. A wines journey from the winery to the dining table is largely based on relationships. There are lots of nice wines being produced all over the world, and lots of them are being sold for fair prices. With wine, its not just as easy as making a good product and selling it for a fair price. Those are only the first steps. Maintaining healthy relationships at every step of the process, both internally and externally, is critical to our winery's success and longevity. Our previous broker in the Los Angeles area retired this past year after many years of representing our wines. We wish her well and hope that she can enjoy a well deserved spell of rest and relaxation. I met with our new broker at Palate Food and Wine Bar in Pasadena last night. I'm very excited by their energy and commitment to representing wines that they feel strongly about. We had a wonderful meal, one of the best I've had recently, and the enthusiasm at the table was infectious. Chef Octavio visited us at the table and sent out some fantastic off-the-menu treats from the kitchen. I was impressed with fluidity and balance of his dishes. Balance and seamless transitions is something we strive for in our wines, and last nights meals was one of the best examples of accomplishing this with food that I've experienced lately. As a family, we've spent the better part of the last 40 years giving everything we've got to make Monticello Vineyards be the best it can be. We've had ups and downs, but we have always maintained good internal relationships within our company and external relationships with other companies and individuals. This is why we have such a large percentage of staff that have been with us for 20-30 years, and why we tend to think for the long term and maintain long-lasting relationships with our vendors and brokers and all the other people who are critical to getting our Monticello wines from the winery to the dining table. I think this is also why our fans of the winery are so loyal. Its not just about the wine, its about the relationship, too.